Reggae, Dub, and Down-Tempo releases and remixes from bassist and producer Rob Griffith. $0.99	MP3 Single (4:32). This song is featured in a collection titled Nyah Music, and is only available here. $0.99	MP3 Single (6:32). This song is featured in a collection titled Nyah Music. $0.99	MP3 Single off the album Nyah Music by Rob Griffith. Downtempo, Reggae, Acid Jazz (3:17). $0.99	MP3 Single (7:11). This song is featured in a collection titled Nyah Music, and is only available here. Reggae. $0.99	MP3 Single (3:16). This song is featured in a collection titled Nyah Music, and is only available here. 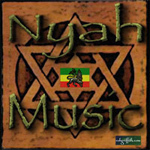 $0.99	MP3 Single off the album Nyah Music by Rob Griffith. Downtempo, Reggae, Acid Jazz (4:15). $0.99	MP3 Single off the album Nyah Music by Rob Griffith. Downtempo, Reggae, Acid Jazz (2:24). $0.99	MP3 Single (5:41). This song is featured in a collection titled Nyah Music. $0.99	MP3 Single (5:31). This song is featured in a collection titled Nyah Music. $0.99	MP3 Single off the album Nyah Music by Rob Griffith. Downtempo, Reggae, Acid Jazz (6:10). $0.99	MP3 Single (2:31). This song is featured in a collection titled Nyah Music. $0.99	MP3 Single (6:16). This song is featured in a collection titled Nyah Music, and is only available here. $0.99	MP3 Single (5:01). This song is featured in a collection titled Nyah Music. $0.99	MP3 Single (6:40). This song is featured in a collection titled Nyah Music.